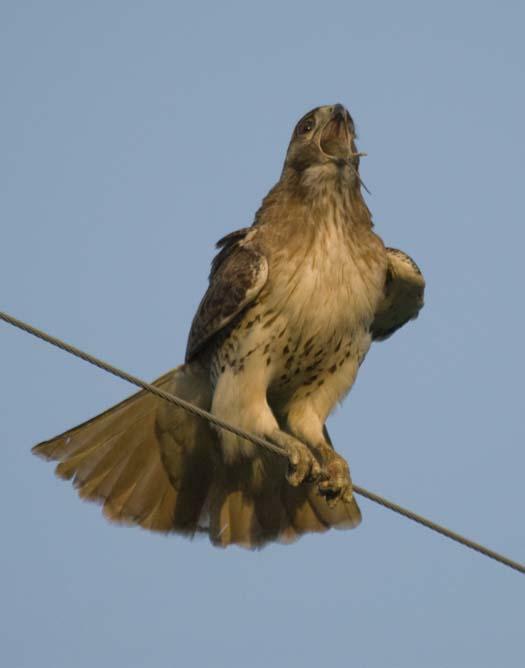 I wonder how Ospreys say ‘Really? ?’ which is probably what they were thinking this morning. When I shot this this morning it was 33 degrees out, the wind was blowing at 15-20 and it was snowing. 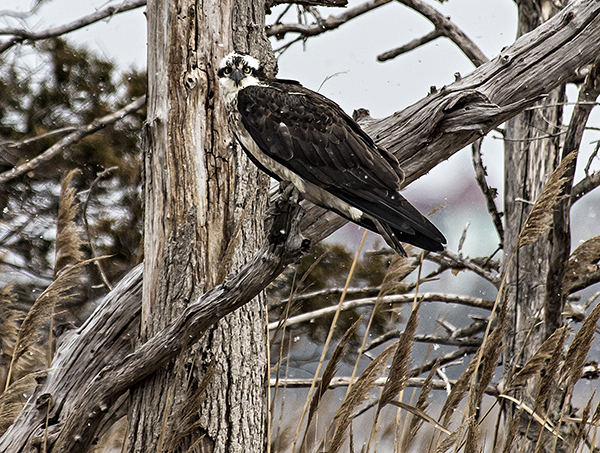 This Osprey and its mate were standing close together on bare tree branches facing into the wind and I’m sure wondering why they left their warm winter roost for Delaware in March. 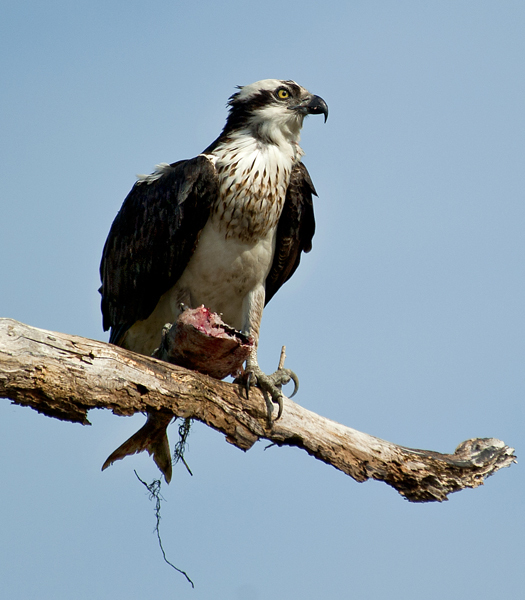 Another common name for Ospreys is Fish Hawks, a name richly deserved for their superb skills at diving onto swimming fish and plucking them out of the water to be eaten at leisure on a tree limb. 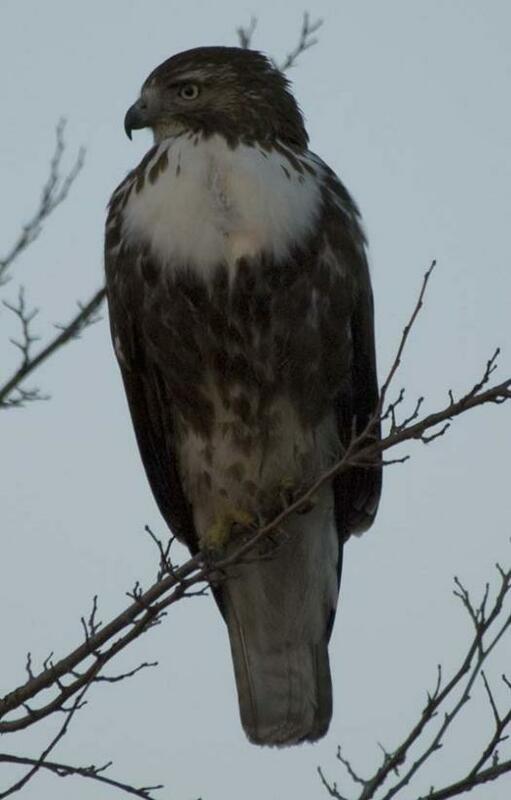 Look at those amazing fish catching talons. I found this proud fisher on a detour from my normal commute from work this afternoon. Lucky bird, unlucky fish, cycle of life: very lucky photographer. 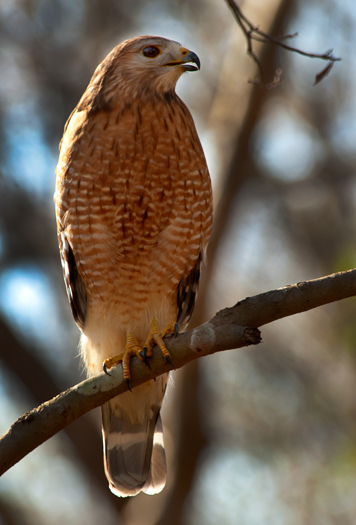 I found this Red-shouldered Hawk in North Carolina last week posing patiently as I captured a nice portrait. 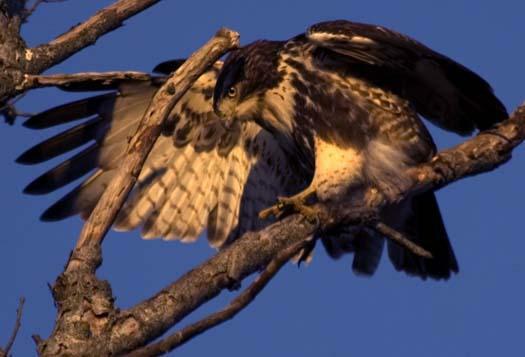 The talons of a Northern Goshawk is sometimes the last thing a squirrel sees. These formidable weapons are long and sharp. 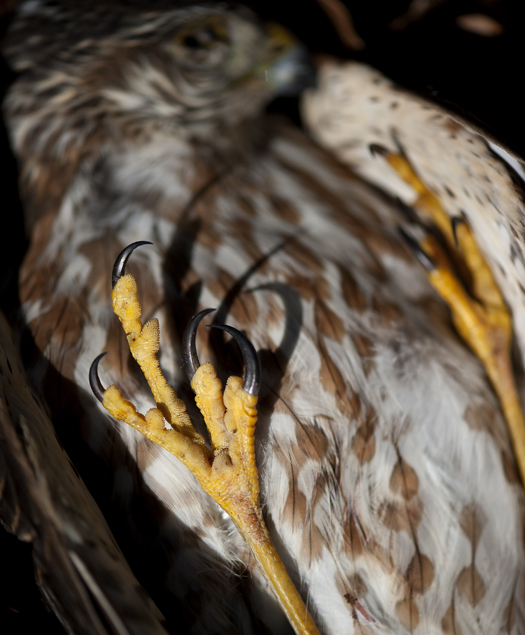 I found this dead juvenile goshawk in the woods and couldn’t resist a still life of the claws. 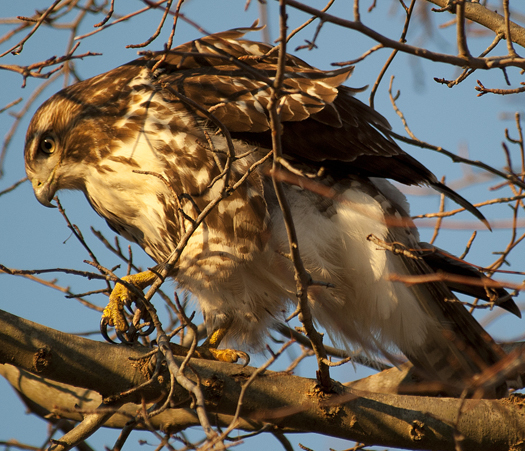 Another angle on the juvenile Red-tailed Hawk. 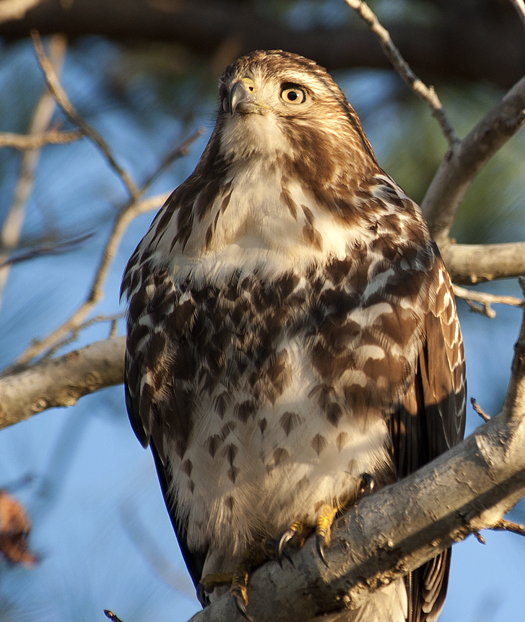 This juvenile Red-tailed Hawk was found roosting in a tree in Prime Hook National Wildlife Refuge. 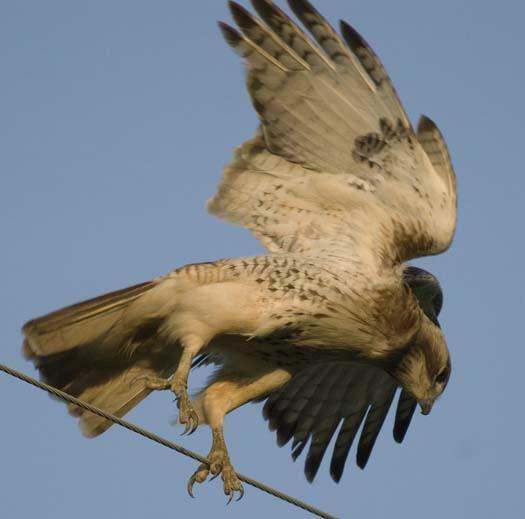 I watched this hawk this afternoon as he sat on a wire patiently watching for mice in the wheat field below him. 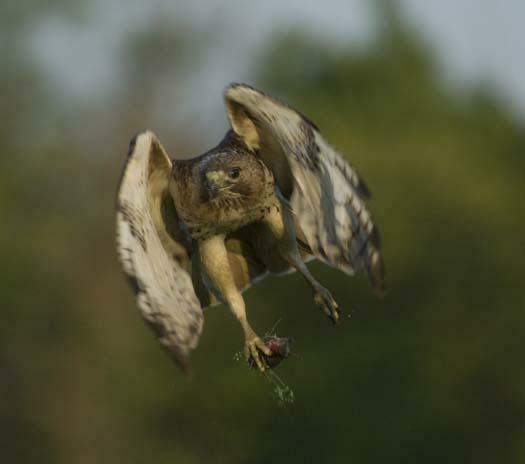 A lunge, a catch and then time to enjoy. 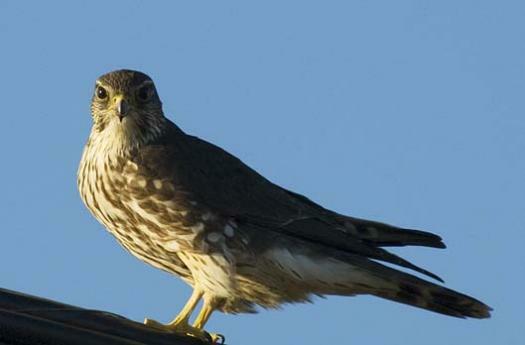 It doesn’t get much better than that if you’re a hawk. 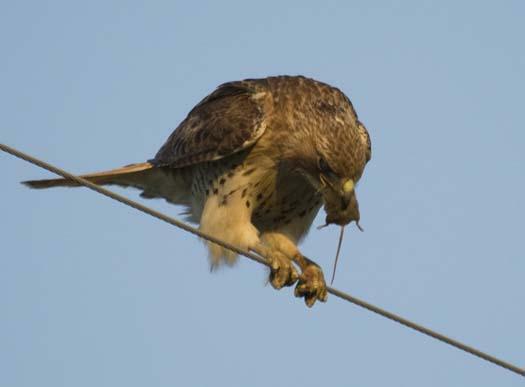 I watched him get three mice in about 15 minutes.